1. Joe Paterno feels that removing the face mask on helmet would cause players to not launch themselves and thus reduce helmet to helmet hits. How do you feel? 2. Who's the best pitcher in baseball right now? 3. Do you think their really will be a NFL work stoppage after the season? 4. Who wins the NCAA basketball tournament this year? 5. On Fox's coverage of the NLCS, they asked the question: "Which pitcher has the most strikeouts in his two first starts?" and McCarver didn't know, even though he caught those two games (Bob Gibson in 1968). IS that enough reason to fire him. (Hint: yes.) 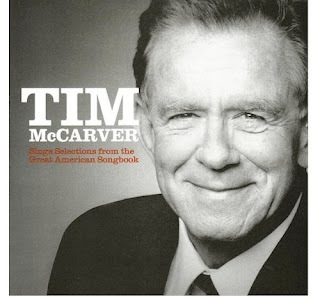 Also, McCarver recorded an album of songs......should he be fired from Fox Sports? 1. Troy Aikman said they would stop doing it if they wore leather helmets. But then you would have people with multiple broken noses, loss teeth, etc, and still getting brain damaged. Soccer players are also suffering from a lot head trauma, it is just part of sports, and I don't know how you can eliminate it completely. 2. Man, I can't decide between Halladay and Lee. 4. No idea, so give me Syracuse. 5. I thought he should have been fired like 20 years ago. Does that answer the question? 2. Cliff Lee. Halladay's great, but Lee is a virtuoso. 1. Yes maybe they would stop, but most players would lack teeth and have broken faces. Literally. 3. Briefly, then they will resolve it. 4. I think it's Pitt's year. 5. He shouldn't be expected to know everything, but he's really annoying and he should move on because of it. 1. It would take a few seasons for players to adjust but it could work. 3. I didn't think so at first, but I don't see anything getting done. 4. No clue. West Virginia? 5. There are much better commentators out there.